Wikipedia: A sneakerhead is a person who is highly experienced visually even to the point of discernment in distinguishing between real and fake replicas and also owns multiple pairs of sneakers as a form of Hobby, collection, Trade and fashion. Urban Dictionary: 1. A person who collects limited, rare, OG, or flat out exclusive kicks. Usually the collection consists of Jordans or Dunks. 2. A person with background knowledge of certain sneakers. Regardless of how you slice it, I can never be described as a sneakerhead. I love sneakers, know a shockingly large amount about them purely by urban osmosis, but have lived on this Earth for 25.7 years with the mentality of wearing a single pair of incredible shoes until they were discolored, smelly, and at least three of my toes were exposed. And I’m proud of this. Why? 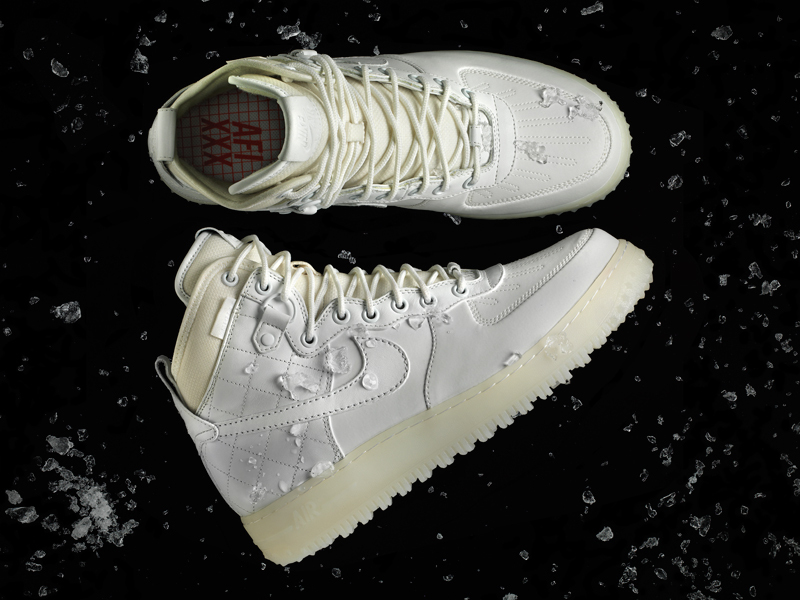 Because more often than not, said shoes that began pristine and ended up looking like victims of biological warfare were white-on-white, Air Force 1’s. These are the greatest sneakers ever produced by humans. Yes, thousands of color permutations have been made to make the shoes distinctive (my hobby for dealing with dirty Forces was to buy different colored sharpies and color over the dirt, thus giving me a brand new pair of shoes, that is, until it rained three days later), but for me, they’re the footwear equivalent of the black suit/black dress. Yes, things can be done to make them flashy, but nothing will ever really top the class of the original prototype. You cannot sit up and tell me that you have none, man. You may not have three or four, but you got one, man. Why am I bringing all of this up? Just a random spurt of nostalgia? Kyjuan’s 37th birthday? Believe it or not, it’s neither. 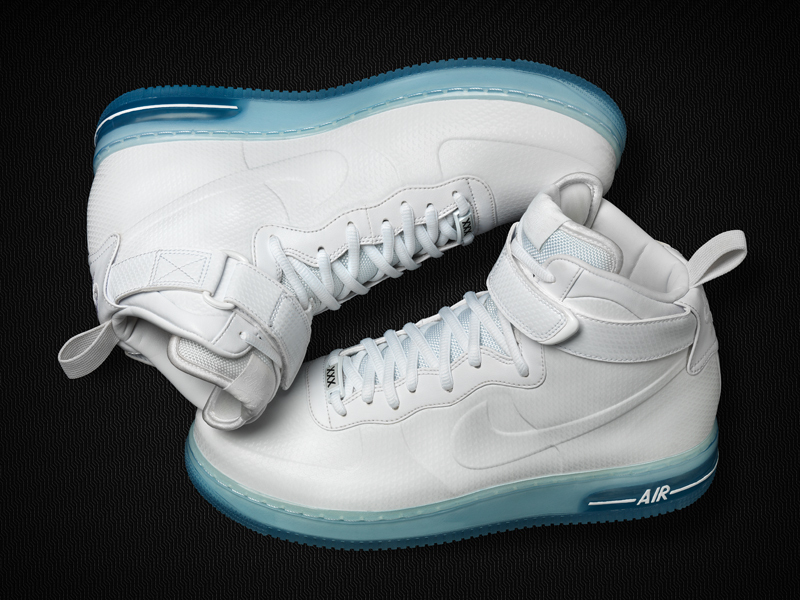 Yesterday, December 12th, 2012, was the 30th anniversary of the Air Force 1’s. A few weeks ago, hearing whispers of a new Air Force 1 worried me, because when it comes to the things I love — classic things — I fear change. And when I saw images of the shoe, a drastic revision from the original kick, my gut was to reject its entire existence. Before I did that, however, I tracked down the designer of the 30th anniversary shoe, Marc Dolce, in the hope that he could talk me off the new AF1 ledge. So one of my favorite things about the Air Force 1 is that they’re athletic shoes, but they’re not really athletic shoes. I’ve played basketball in them many, many times, and I know people like Rasheed Wallace would wear them in games, but they’re not exactly the ideal high-performance shoe. Which I’m fine with. But it started as an athletic shoe, so in ’82 that was one of the lightest, most technologically advanced shoe for ’82. Obviously, things change and that’s what we’re trying to do now with the new Air Force 1’s. You were around for the 25th anniversary. How does it differ from this launch? Now we’re a bit more refined about how we approach the year in general, and now the focus is: What’s the future for Air Force 1 for the next 30 years? So one of the first things we wanted to do was take a new interpretation of innovation. In my opinion, one thing people don’t take advantage of is comfort. If you’re wearing this all day, you want it to be comfortable. In the redesign, were there certain things you thought were untouchable? Having a respect for a product I think is really important, knowing where a shoe came from and admiring it as a cult classic. I think it’s important to keep the DNA. So it was less redesigning, and more bringing innovation to an icon. So even when I worked on the mid-sole in creating the bevels, that’s something that’s iconic to the Lunar. 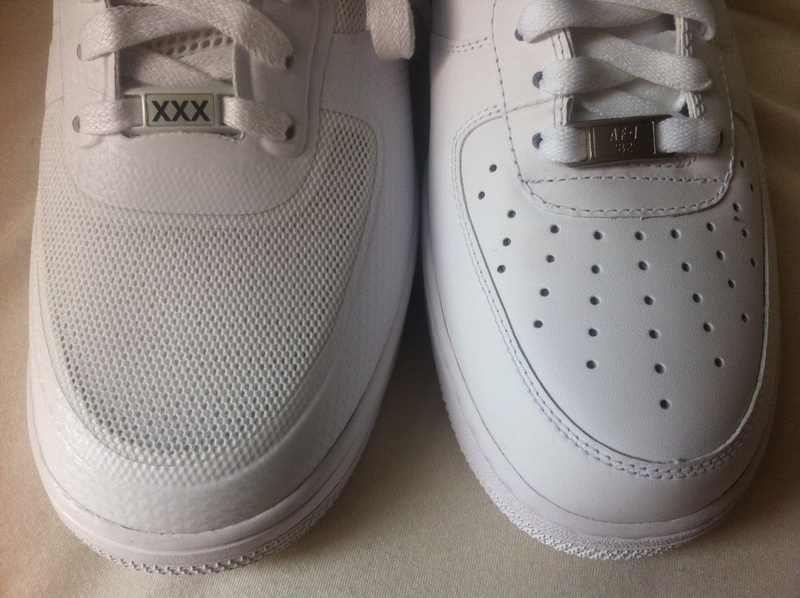 I didn’t change the top line of the mid-sole, because there’s a shape to that top line that only the Air Force 1 has. Different than Dunks, Blazers, and all those other shoes. 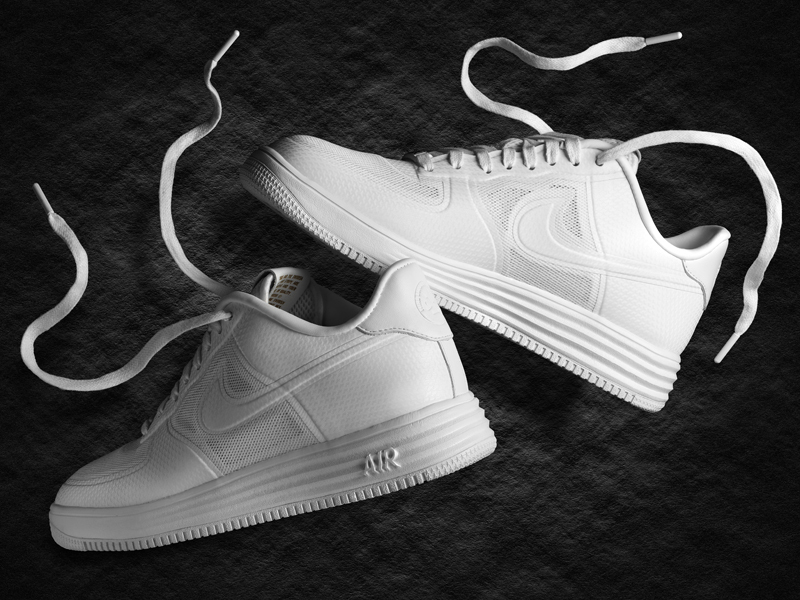 Even with the toe, you’re still getting that classic Air Force 1. The stars, the grooves across the side, the pivot — to me, why change a great thing? What we wanted to do was evolve it. 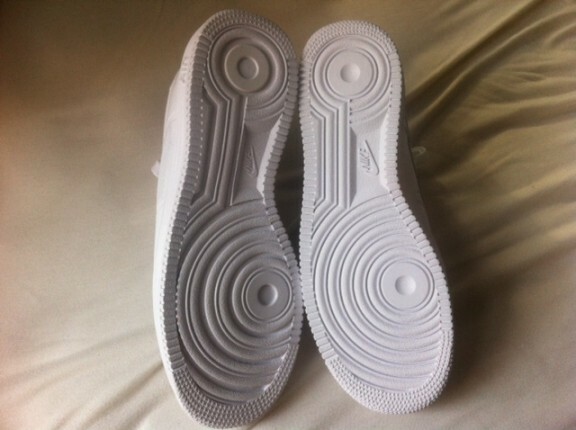 One of the things I wanted to do was remove weight in the mid-sole and on the bottom. What’s great about that, is that you can kind of touch and feel the foam, which makes it more flexible that the original Air Force 1’s. Are you releasing the lows, mids, and highs all at once? Right now, we’re just launching the lows. But in future seasons, you’ll probably see other iterations. So what about this “Family of Force”? Multiple shoes that kind of all stem from the originals. One reason I’ve always liked the shoe is that I thought of it as a canvas, which has proved true from all the different color iterations. But I never thought about it with regard to different shoe iterations. For me, it’s all about respecting the first one. As I talk to myself, my team, I’m all about keeping what made it an icon. When you look at the shoe from the side, and take a photograph of a black-and-white silhouette, you can tell these shoes are born from the same place. And they’re made to sit next to each other. This isn’t going to replace the Air Force 1, by any means; what we want to do is create a family of product. So it’s almost like you can wear different shoes for different occasions, all Air Force 1–related. Yeah, some are for the week, others for Friday and Saturday night. And the classics — wear those to church. OK, I’m sold. I can continue to wear my classic Air Force 1’s to church. That’s all I needed to hear.